As we enter full speed now into the Holiday Season and all it’s food dangers we are reminded of the addictive qualities of some foods, like sweets. Yes, chocolate addiction is real… and a tough one to kick, I know! Starting with this Holiday, we can assert our brains to seek more of something that actually IS a good thing for others and us: Gratitude! 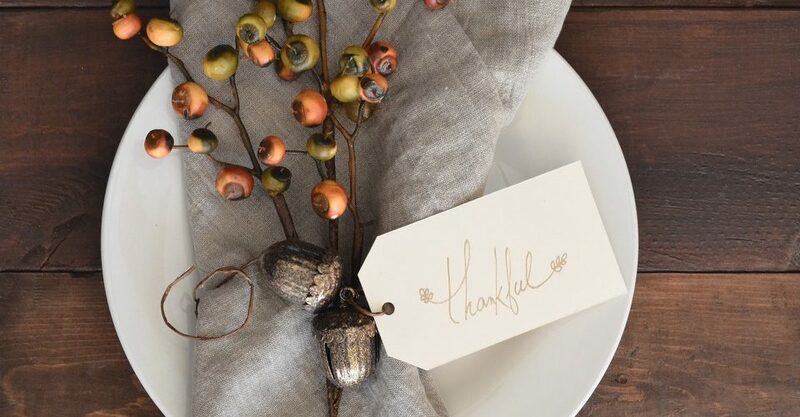 Gratitude is not restricted to holiday season, of course, but Thanksgiving is when, even the most Negative Nancy can be coerced by social pressure into showing thankfulness. Gratitude, particularly that shown toward another specific human, has been proven to measurably increase the positive chemicals in your brain. By showing thankfulness for the way another person treats you, you are activating your brain’s reward center. This means that you will be looking for ways to increase this activity. Not unlike chocolate primes us to look for more chocolate! University of California Berkeley’s Greater Good Science Center, has specifically been researching the medical effects of this positive emotion, and let’s just say, this is the perfect season to up your prescription of gratitude and watch results in your life! Of course, you’ll be blessing the other person as well. Final note: I don’t think it’s possible to get overfull on gratitude, but can’t say the same for the stuffing and yams!